When an adult is no longer able to take of him or herself, another person may be needed to help, referred to as the “guardian.” A court appoints a guardian, who then has the legal authority to make decisions for the “ward,” being the incapacitated adult. This process is guardianship. The likelihood of becoming incapacitated in any given year is generally greater than the likelihood of dying. As we reach into our seventies, the likelihood of dying outweighs incapacity. Nevertheless, there is still a good chance of becoming incapacitated prior to death. When someone can no longer make decisions regarding his or her health or finances, it may be time for a guardianship. However, making that determination is not always easy. The help of a licensed physician to assess the needs of the proposed ward is important. This assessment will be needed by the Court in order to appoint a guardian. Once it is determined that a guardian is needed, what type of guardianship should be sought? There are two basic types, with the third being the combination of the first two. Guardian of the Person – Just as it states, under this type of guardianship, the guardian has decision-making authority over the care and well-being of the ward. The guardian makes decisions regarding healthcare and where the ward will live. Guardian of the Estate – As you can imagine, with this type of guardianship, the guardian makes financial decisions for the adult ward. While this includes managing assets and paying bills, it is important to remember that court approval is needed to sell or spend the ward’s assets. Guardian of the Person and Estate – This type, of course, combines the other two, giving the guardian the authority to make personal and medical, as well as financial decisions for the ward. Also, the court may impose a Temporary Guardianship if there is an immediate risk of financial harm or personal harm to the proposed ward, until a General Guardianship can be established. Generally speaking, the court can appoint anyone that is suitable to be guardian, whether the person is related to the ward or not. Although preference is usually given to a relative. There can also be co-guardians. Committed abuse, exploitation or neglect of a child, spouse, parent or other adult, unless the court determines otherwise. On a basic level, a guardianship lasts until it is no longer needed. Either the adult ward dies, or regains capacity. If he or she can make decisions for him or herself, the guardian or other relative may ask the court to terminate the guardianship. In order to avoid a guardianship, advanced planning is required. While still competent, the person can establish a Living Trust and powers of attorney. A Durable Power of Attorney for Health Care Decisions gives someone that you name the authority to deal with the doctors, hospitals, and other health care providers when making medical decisions for you. While a Durable Power of Attorney for Asset Management allows someone to help manage finances when you are no longer able to. A Living Trust is another excellent tool that, in concert with the powers of attorney, can help avoid the need for a guardian of the estate. Assets held in the Living Trust are managed by a Successor Trustee when the Grantor is no longer able to do so. If a person is 60 years old or more, and finds it difficult to manage his or her finances, such person may consider voluntarily applying for the Public Guardian’s Representative Payee Services. People enrolled in this program can receive help paying monthly bills, thus ensuring food, shelter, and clothing needs are being met. 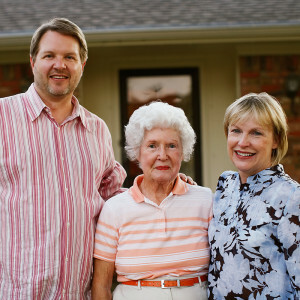 If you wonder whether it’s time for a guardianship for a loved one and need help with the process, or want to know how to avoid a guardianship for yourself in the future, give our office a call for a free initial consultation.